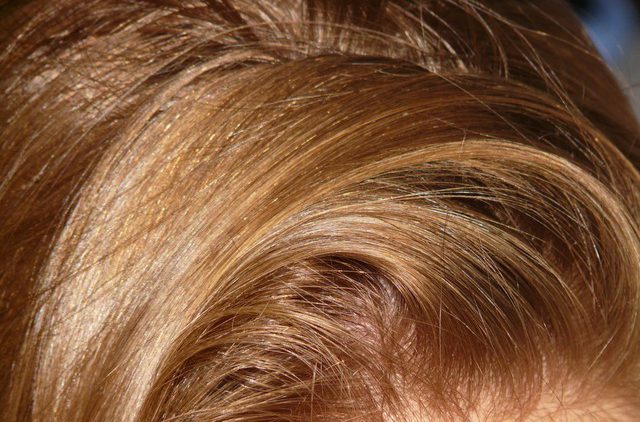 One of the best ways to fight hair thinning is to adopt proper diet and hair care habits. Proper diet will ensure sufficient supply of the nutrients to the blood vessels in the skin of your scalp. Consequently, your hair follicles will be stronger and hair shedding reduced. Still, if you already have thin hair, the process of getting visible results might take some time. Luckily, you can also make fuller hair by applying these simple tricks that will give your hair extra voluminous look. Using mousse is essential if you want to add some volume to limp-looking hair. Squeeze an egg-size blob of mousse to your palm, and apply it to damp hair. Before you start blow-drying, make sure that the mousse is evenly distributed, from roots to ends. Contrary to popular belief, if you condition your hair before applying shampoo, it will give it some extra texture. Conditioning your hair is very important, because it will give your tresses much needed softness. However, sometimes hair can become too soft, even slick. Slick hair is very difficult, if not impossible to style. Applying these hair-care products in reverse order, will result in perfect texture for styling. With it, you will be able to make fuller hair styles and build volume. One of the old tricks for creating that extra voluminous looking hair is – teasing. Teasing is done by holding up a small section of your hair, and gently backcombing it towards your scalp. After you finish teasing each section, apply hairspray at the roots, so the tease wouldn’t disentangle. Do the teasing at all those sections where you wish to create shape and volume. When you’re finished, go lightly over the top layer if the hair with a hair brush, to hide the teasing below the surface. Dry shampoo is perfect for adding some extra texture to otherwise thin hair. You can freely use it even if your hair is clean, to achieve that extra volume look. Normally, dry shampoo revives oily hair and removes grease, but it will also give your hair much needed grip and texture. To build volume with dry shampoo, spray it all over your hair before you style it and also add a light amount of spray after you finish with styling. The above methods are tricks you can use to achieve some fast extra volume appearances. However, if you want long lasting results, consider using hair vitamin supplements, such as CatalaseNow. This supplement will ensure that you consume all the vitamins, minerals and amino-acids that are crucial for the health of your hair and your whole organism. This risk free offer, backed up with a money-back guarantee, will enable you to start giving your hair the extra care it deserves.